Vegan baking can include a lot of sugar. Try adjusting recipes to include less sugar, or use alternative sweeteners (e.g. agave) if you want a healthier bake. If nothing else, the rise from niche baking show to one of the country’s most watched TV programmes, the Great British Bake Off has proven that we’re a nation of baking lovers. 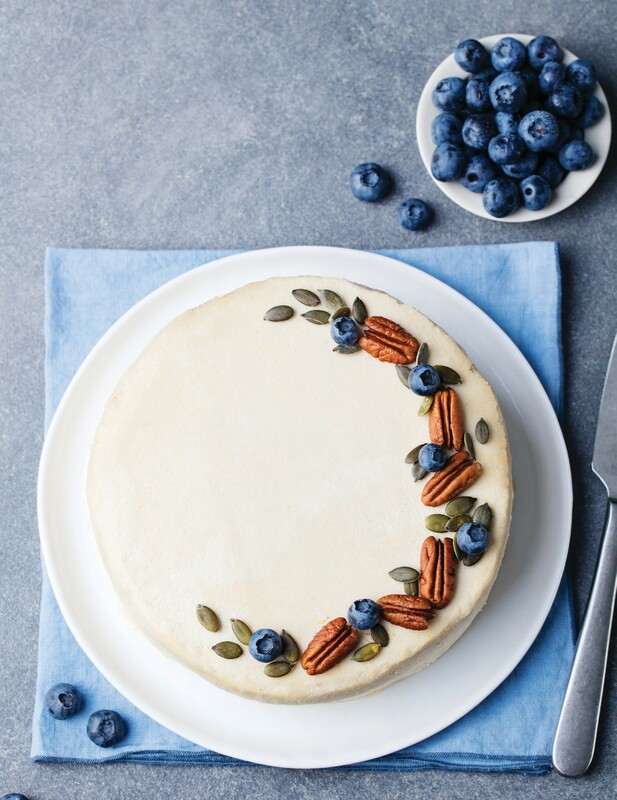 Many think that moving to a vegan food regime will mean missing out, by getting rid of the eggs and dairy from your diet, but going egg and dairy-free doesn’t have to equate to going cake-free too. If you believe the hype, vegan baking is an abstract thing that only the very best and most seasoned bakers can even begin to succeed at. However, that couldn’t be further from the truth. If you’ve always loved baking, then vegan baking needn’t be any different. There are so many dairy-free milks on the market now and the range and quality of the products available is constantly improving. You can use soya, rice, oat or nut milks virtually interchangeably in any recipe as an alternative to the traditional dairy milk. You may want to opt for thicker, better quality plant milk for best results, though generally any of the milks will work almost as well. It’s a complete myth that successful baking must involve using eggs. The two are not as synonymous as we’ve all been raised to believe. In fact, with the knowledge that baking can be just as satisfying and just as tasty without eggs, it becomes strange that they were ever used in the first place. There are plenty of cheaper yet just as effective replacements for eggs. Baking is a science, and once you start thinking about the purpose of each component for creating the end product, it will become far easier to work out the best alternatives to use. Eggs are generally used to bind other ingredients and to increase the fluffiness of the cakes you’re baking. There are so many substitutes that can be used in place of eggs in baking. You can try using mashed bananas, apple cider vinegar, dairy-free yoghurt, silken tofu, or a flaxseed and water mix where eggs would usually be used. With practice will come confidence and you’ll become more accustomed to the best replacement to use instead of eggs — silken tofu is great for heavy and dense cakes, whereas flax eggs are great for muffins and brownies because of the texture they give the bake. Avoid tinned coconut milk, which is great for curry but not as good for cakes. It wouldn’t feel right to talk about vegan baking without mentioning aquafaba. Possibly the greatest vegan find of all time, if you haven’t already come across it, aquafaba is the water that you get from beans, or most commonly chickpeas. It turns out that this slimy, leftover product can make a fab egg replacer. Try using in the same way you would for meringue, by whipping up with sugar. It’ll probably take a couple of attempts to nail, but once you have, you can wow your dinner guests with miraculous egg-free meringue. In traditional baking, butter is regularly used to add fat to the mix. Therefore, you’ll find that many recipes use oil in place of this. Make sure to use oil that can withstand reaching hot temperatures, but generally speaking, whatever your usual oil choice is, should be suitable. Dairy-free spread can be used in place of butter too, and generally can pack a more flavoursome punch. If you’re anything like us, then you’ll agree that getting the frosting right on top of a cake can take a bog-standard bake to the best thing you’ve ever tasted. 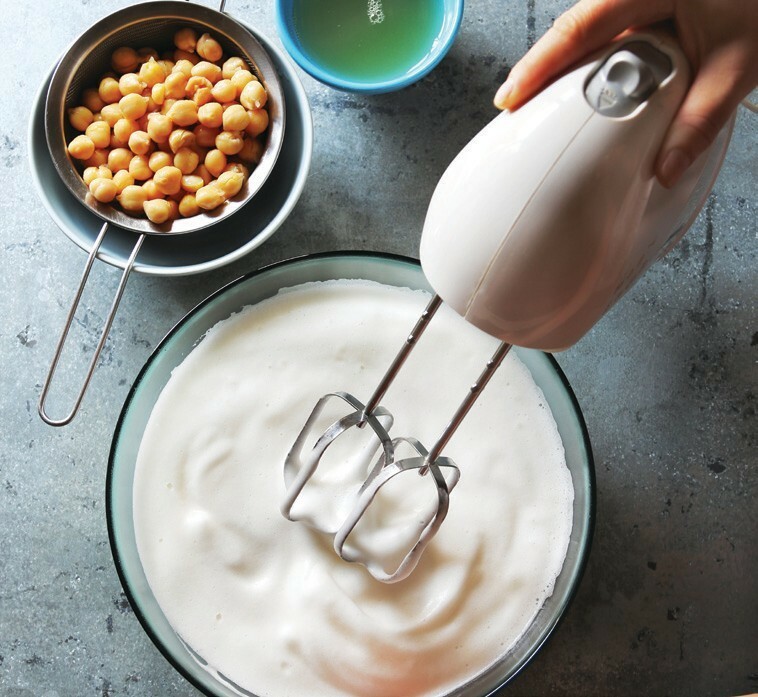 Grab your dairy-free spread, icing sugar, plant milk and vanilla extract and blend with an electric whisk to mix. Once smooth add extra icing sugar or plant milk to add texture or make thinner depending on how you like your icing to taste. 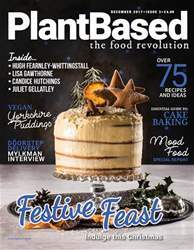 Welcome to our December issue of PlantBased magazine. As I’m sure you’ve guessed, we’re not holding back on the festive food in this issue — it is the most indulgent of seasons and we’re packed full of amazing plant based meals. December is a month that seems to bring people together more so than any other. Day-to-day we go about our busy lives and often get caught up in the things that aren’t important, but at this time of year we come together, spread love and remember all the great things we are so privileged to have. I know that I will be surrounding myself with all the people that matter most for the entirety of the festive season. Christmas dinner is often billed as the most important meal of the year. This can make the entire experience rather stressful, and there is nothing worse than feeling stressed in the kitchen. Check out our top tips for avoiding Christmas stress alongside your guide to creating a delicious Christmas feast, with not one, not two, but three stunning roast dinner mains. Don’t miss our hearty and fluffy Yorkshire puddings either, puddings without eggs are something that many vegans have struggled to achieve, but I've tried these first hand and can’t wait to make them myself on Christmas day. Stepping away from the December spirit for a moment and a recent trip to Amsterdam provided me with the opportunity to eat a whole lot of incredible food. Find out all about the food I ate, and how to make a veganised version of the traditional dish of stamppot too. I look forward to seeing you all in 2018, for issue 4, where we’re going to be bringing you a magazine packed with cleaner recipes to help kick-start your new year in a very healthy way.